The Academy of General Dentistry has found that children are not getting the nutrients they need at school in order to maintain excellent oral health. 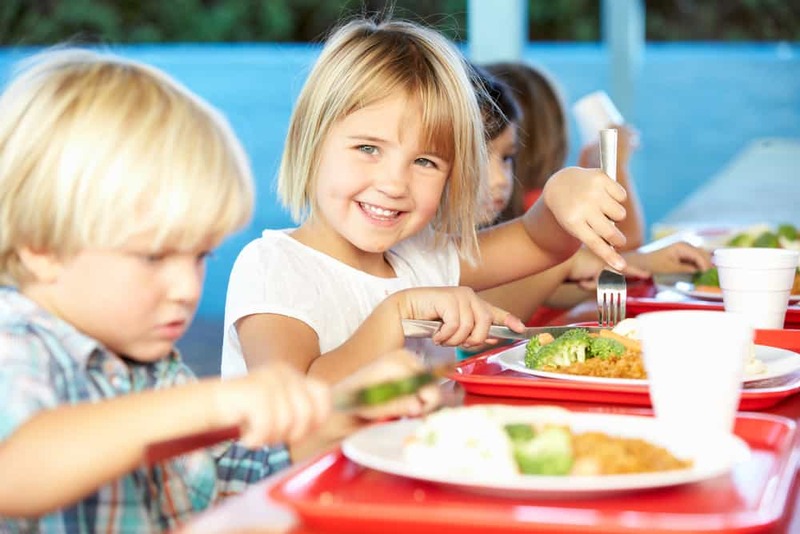 Unfortunately, lunches sold at school cafeterias, bagged lunches, and vending machines are often full of unhealthy food choices that can be detrimental to a child’s teeth and gums. Bento boxes are an excellent school lunch idea because they require little prep time and can be filled with a wide variety of healthy and tasty foods. They are a nice change from a typical sandwich and fruit lunch and may be loaded with fresh fruit, low-fat yogurt, cheese, turkey breast, diced chicken, hard-boiled eggs, bell peppers, and mushrooms. You can take two slices of whole grain bread and add some diced chicken and low-fat cheese slices to prepare a scrumptious sandwich that can protect your child’s tooth enamel. In addition to the sandwich, pack some cut up apples, pears, or other crunchy fruits that support gum health and strengthen teeth. Rather than packing pudding which contains sugar and additives that are harmful to the teeth, you should provide your child with a portable cottage cheese container and some fresh blueberries, strawberries, and blackberries. Cottage cheese and berries are comprised of far less sugar than pudding and feature calcium that is essential for strong teeth. There’s a reason dentists encourage children to “eat the rainbow,” or as many colorful vegetables as they can. Due to the fact that calcium, vitamin, C, and other minerals are found in vegetables and beneficial to the teeth and gums, a colorful salad in a Tupperware container is a good lunch option for children. The salad can be topped with a protein such as chicken or turkey or some crunchy foods like sunflower seeds or nuts. For more dentist approved school lunch ideas, contact Triangle Pediatric Dentistry. When doing so, you should also schedule an appointment for your child’s regular dental checkup. We have some of the most well renowned Raleigh pediatric dentists in all of Wake County. Remember, when it comes to eating in elementary school and middle school, students are often consuming food with braces, Invisalign or an oral appliance. It is important to be aware of any issues that may arise. We will be more than happy to discuss ways in which you can make your children’s lives easier.